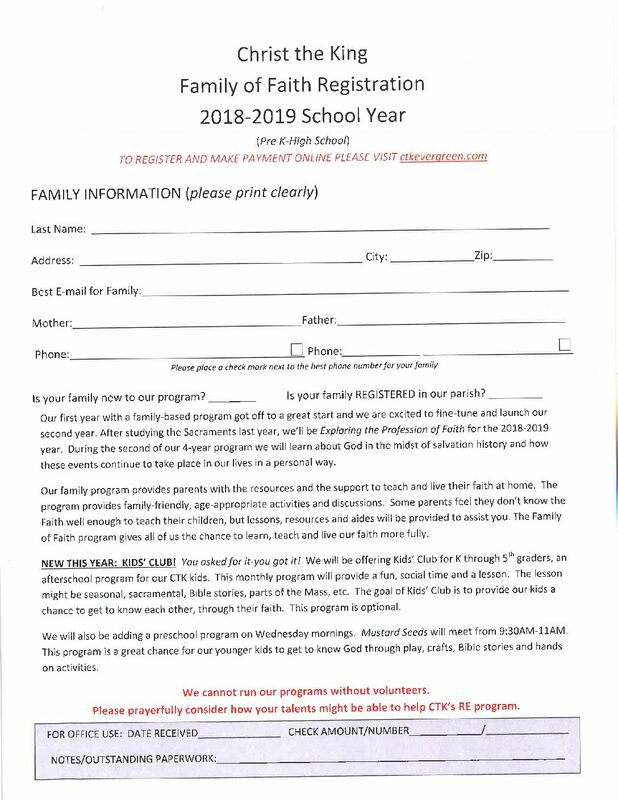 If you want to register for any religious education program, from pre-school through high school you can do so by downloading the registration form below, or you can get a registration form located throughout the building. If you have specific questions about any program, visit the appropriate page here on the website, or contact the appropriate coordinator. For any of the parish activities, you will need to download, fill out, and return the Activity Release Form. You will have the option to attach a scanned copy of this form at the end of the online registration process. For more information on the Family of Faith program, click here.